An ICS Pacific Venice Tower White 4 Sided Glass Refrigerated Display is perfect to display cakes, salads, sandwiches, focaccia & bottle drinks. A stylish four-sided glass benchtop display fridge with its bright internally LED lights will make your products inside shine. 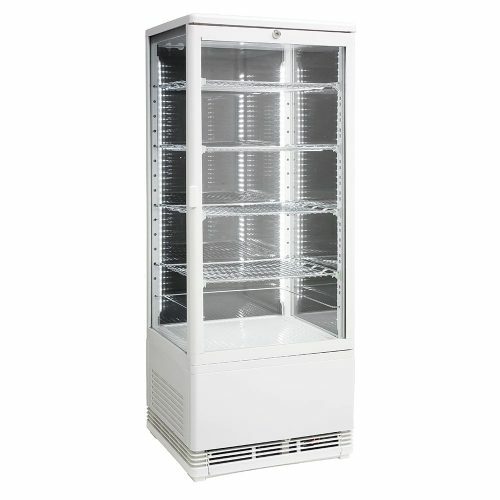 The ICS Pacific Venice Tower White comes with an awesome 3 Year Warranty on Parts and Labour makes these cabinets excellent source of commercial refrigerated display.